Calling all social media mavens + digital aficionados! This year experience a fresh, new way to see and taste the festival with the #CHSWFFStreetTeam. 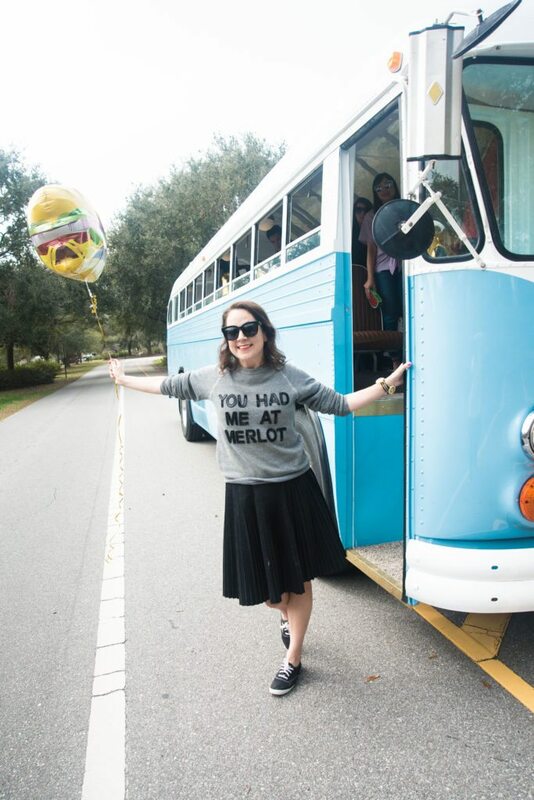 This fabulous group of social media savvy bloggers + Instagrammers are prepped and ready to bring you the most delicious sights and sounds of the 13th annual Charleston Wine + Food festival. Get to know our street team below, and make sure you’re following along on their accounts and #CHSWFFStreetTeam for the juiciest scenes + sips happening February 28 – March 4. Ashley is the proud mother of four with a love for all things fashion and family. She created her blog Sweet Southern Prep, in 2010 as a way to share lifestyle tips and fashion. The blog grew and soon she was working with brands like Kate Spade and Lilly Pulitzer. She’s been running the blog since its start 8 years ago and still going strong. Jai Eats, a blog created by Jai Jones as a way to share his favorites. Writing from Charleston SC, there’s never a shortage of good restaurants and drinks to share. Inspired by the way everyone comes together because of food, Jai’s blog shares favorites in hopes of making them yours too. Natalie, creator of Designer Bags & Dirty Diapers, is a lover of all things family, fashion and food. Her blog highlights day-to-day outfits and where you can find some great sales. You’ll also find delicious recipes and entertaining tips on her site. A lover of food, Sydney Gallimore founded Queen of the Food Age back in 2011. Her blog was a way of sharing the two things she loved most: food and writing. She’s also a freelance writer for Charleston Grit, Thrillist, Where Traveler and more. Her love for what she does shows through all her work. Sydney Turnquist is the co-writer for Queen of the Food Age. The adventurous food critic has continued to explore Charleston since she moved here in 2009. She’s broadened her palate and ventured into trying various foods outside of her comfort zone by tasting her way through the Holy City.